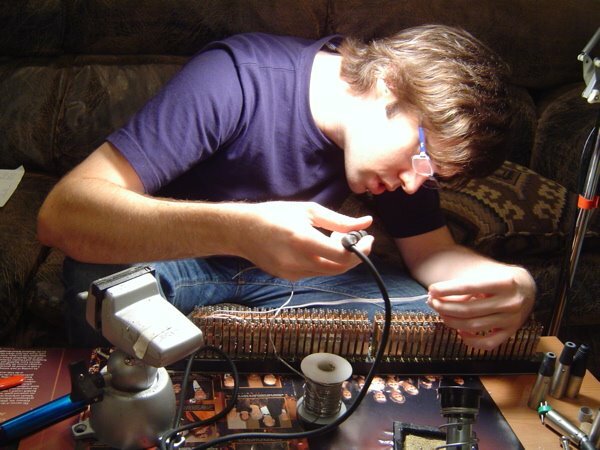 Sunday, October 1st, 2006. Yeah, I haven't blogged in quite a while. As I write, Christi is out decorating the porch here at Casa Workman for Halloween. I helped with the animatronic spider (cool), the 3/4 life-sized glow in the dark skeleton (sort of cheesy), and the halloween lights around the front window (cool). Fall is here, and it is always busy. I love the rush of energy that I get when the summer comes to an end, and the darkness start to slip up earlier and earlier each day. 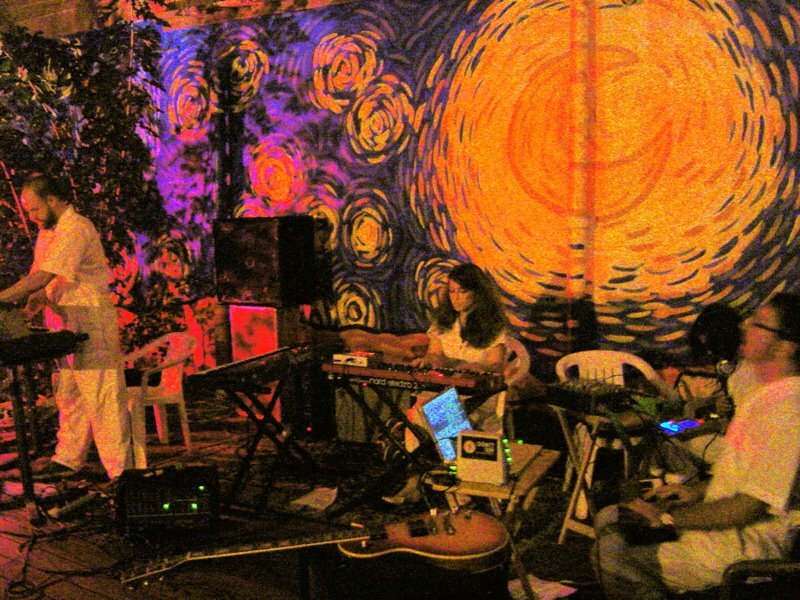 One of the reasons I haven't updated lately is because our band, The SK-1 Project, has been rehearsing and playing quit a bit. Click on the subject line link for this post to go to our myspace page and hear and see what we are up to. 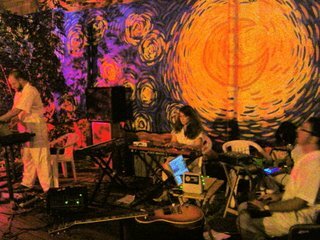 For the uninitiated, The SK-1 Project is Phil Jones, Heba Kadry, Leigh Crain, and myself, playing circuit bent Casios, vintage synths, and an occasional traditional instrument (guitar and,.. well,.. melodica!). There is talk of a west coast tour (! ), and we are planning to do some shows where we play a live soundtrack to a silent screening of a contemporary film. More will be revealed. Work on Anne Loo's remaining 9 songs for her CD is coming along really well. We are getting ready to cut the drums on 6 more songs over next week. Eric Jarvis, Anne, and I have been hard at work in arranging sessions. Anne has continued to mature in her production skills at an amazing rate. I'm sure that I'll have pics from our tracking session to post next week. We are getting similarly close to tracking Mike Conde's band. We have the songs sewn up. 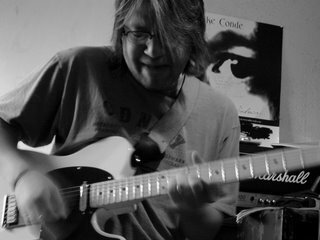 Steve Christensen is on board to co-produce. Now were at the final pre-pro stages. Funny thing: we are talking about trying out a pretty ambitious idea--using guitar feedback as source material for an orchestral arrangement. I started talking about a Sigur Ros song to be used as a reference, and all of the sudden I'm using a visual description of 'a woolly mammoth' lumbering across the ancient tundra to describe the tone. Now I can't get woolly mammoths out of my head. Stupid, I know, but the sound is SO EXACTLY a woolly mammoth lumbering across.... The visual image is so great. I can only hope that it leads to a killer song. I'm getting near to signing a deal with Trystan Layne. This is a modern pop/rock band who is hiring me to produce 4 songs. I'm supposed to pick material tomorrow, so I'll bring you up to speed soon. My childhood & adult friend, Andrew Amelang, and I have formed a record label. Yes, you read that right. I cannot believe that I have gone over to the dark side and become a label owner. Well, in this case it's the LIGHT side. Andrew and I have formed TLM Records, and signed our first artist, Jennifer Grassman (who just got married and is now, really, Jennifer Greenberg, but that's for a different blog). Another funny thing. I did NOT produce the record. My friend, Mike Thompson did this one. I'm working on another project with Jennifer (our Christmas CD, due out in 2007). Andrew and I have founded a community of young artists in Brehnam, Texas, called TLM, which stands for Truth, Love, and Music. Jennifer is happy as a clam, and I am super excited to be creating a brand of exceptional music with my friend, Andrew. FYI: Andrew and I played together (along with a guy named, Bill Smart), in our very first rock band way back in Jr. High School. We were called 'The Remaining Few'. Bill's second hand drum kit already had that painted on the front head, so we decided to keep the name. DOH! 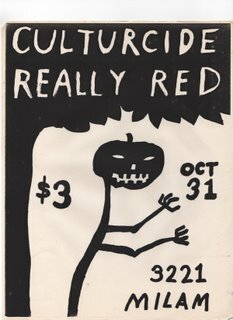 Speaking of the stone age, my old experimental rock band, Culturcide, is having it's first LP, Year One, re-released. I've had to get a bunch of old art work and posters scanned. Here's the poster that became the cover of Year One. Spooky, huh. 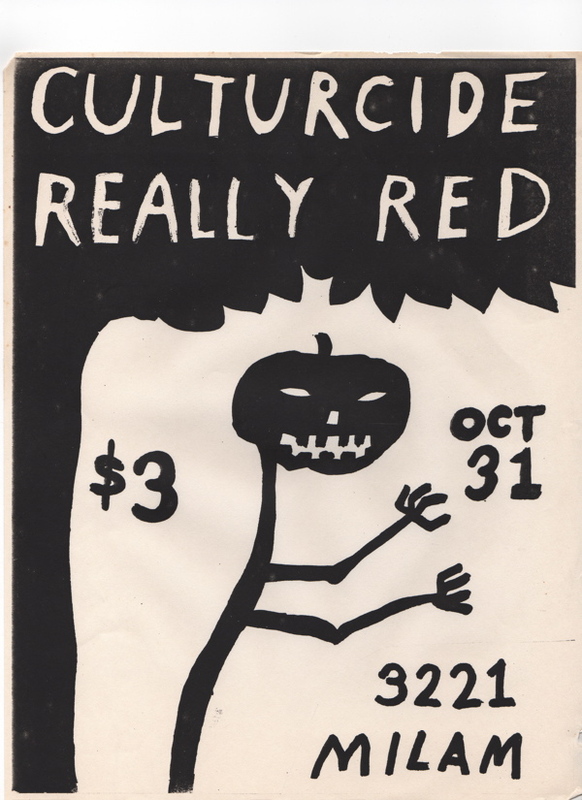 By the way, Really Red were an INCREDIBLE Houston punk band. This just about does it for the catch up. The final thing of note is that Steve Christensen has lead a team of SugarHill'ers through a massive renovation of Studio C. I don't have my pictures downloaded from my camera on that yet, but I do have a picture of Steve, hard at work. The renovation looks and sounds really good. Way to go team!